Don Letts came to notoriety in the late &apos;70s DJing reggae music to punk crowds at &apos;The Roxy&apos; club in London. He also started to document the punk rock movement in &apos;The Punk Rock Movie&apos;. He continued to make documentaries across the spectrum of credible music including a celebrated film about Bob Marley. Musically, he was a founder member of Basement 5 and Big Audio Dynamite, the latter with The Clash&apos;s Mick Jones, managed the all woman punk group The Slits and collaborated with many post-punk outfits in the 1980s. 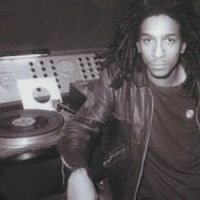 Below is a sample playlists for Don Letts taken from spotify. Do you promote/manage Don Letts? Login to our free Promotion Centre to update these details.